Well it’s been a busy day in the family, which reminded me that I should introduce the two littlest members of the wedding party. The funny thing is, that over the past few years no one I know has had any girls! Seriously. It’s like there was an epidemic of the Y chromosome. 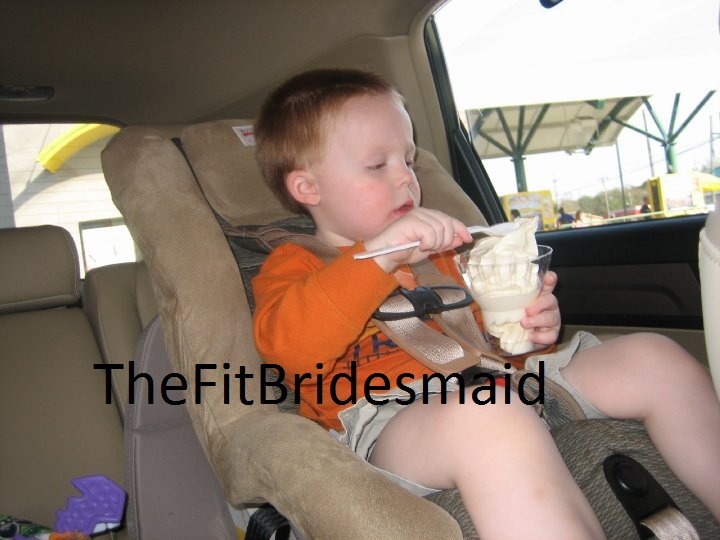 Therefore we will be having two little ring bearers and no flower girl. This makes me a little said. See I still have my flower basket from when I was a flower girl at 19 months, and thought it would be so cute to use it. Maybe if I have a girl, she can use it in someone’s wedding. I told Matt that April will be our honorary flower girl, but will not be attending the wedding. Wouldn’t she be adorable? He will be 4 years old at the time. 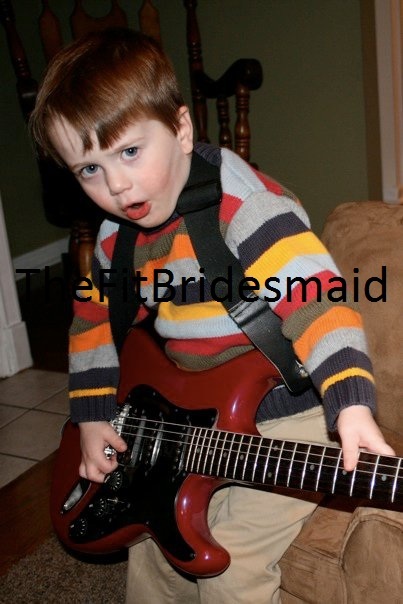 His dad (and Grandpa) LOVE music, so it’s fitting that he is “rocking out” on a guitar. I think this picture is hysterical. He will be 3.5 years old at the time. He loves his ice cream. Guess we’re related? Maybe he’ll add some chocolate syrup and peanuts and stir it up into soup. That’s what we always did at Grandma and Grandpa’s! Now I have ZERO expectations of these guys. They’ll get some spiffy outfits, be sent down the aisle, and let the cuteness unfold. My brother was a ring bearer when he was 4.5 years old, and did well with a buddy. Hopefully this will go smooth. And if it doesn’t . . . whatever! 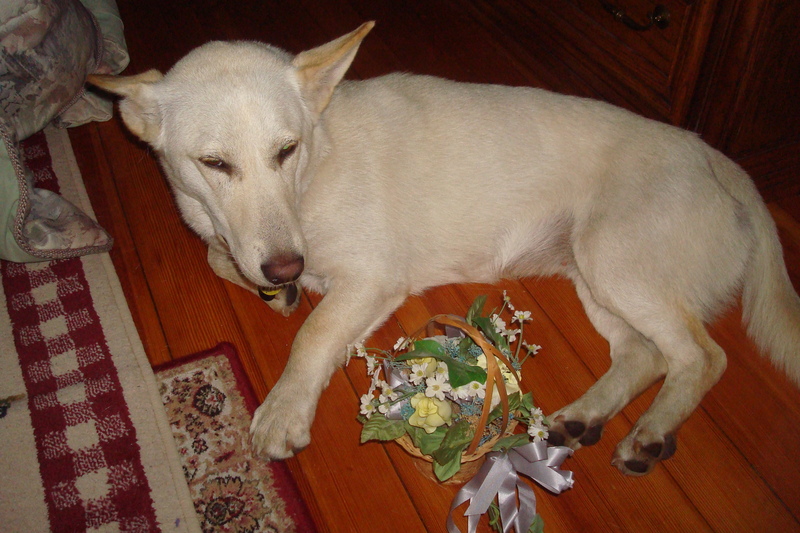 Posted on June 9, 2010, in Dog, Wedding. Bookmark the permalink. 9 Comments. My best friend and I both got married in the same year, and both had the same issue… no one to be a flower girl! I chose to just ignore the role, but she came up with a creative solution for wedding, that was just adorable – she had her grandmother be the flower girl! It worked well for her because he grandfather was already giving her away, so it was a nice way to incorporate both of them into the wedding, but I think even if he wasn’t walking her down the aisle, it was still a really cute site to see this elderly woman with a gigantic smile on her face sprinkling petals on the aisle! Oh please dress up Doris. Pretty Please!!! I can always toss some petals as I walk down the aisle for ya. Or… you can borrow one of my nieces. I think if you promise Kayla she can have the flower petals back after the ceremoy she might actually drop some in the aisle. Paul said he counted about 6 petals she dropped at our wedding. I didn’t know any little boys to be ring bearers, hence all the girls. Maybe our weddings can balance each other out. miss you tons!!! You should come to Chicago! Yeah, I guess we have the opposite problem . . . I just found your blog. Love it and love the picture of Owen. Congrats to you and Matt on passing the exam! Thanks, Carrie! I hope it’s okay that his picture is up. I put a mark on them for a bit of security.